I went comepletely crazy when i saw this fairy on ebay. She has been my favourite for a looong time now. 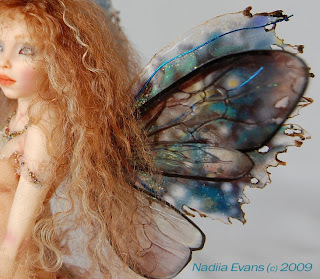 I simply LOVE the way you sculpt... Its so life-like and still with the anatomy of a fairy! And the fabric, and the way you clothed her, is friggin amazing as well!! Yes truly amazing she is. I owe this beautiful Art work of hers. I'm so glad I was able to get her.